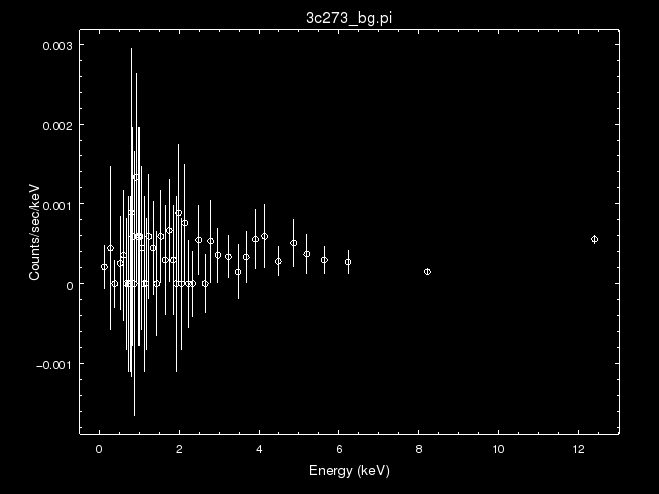 Here we display a background-subtracted PHA source counts spectrum filtered in energy space. 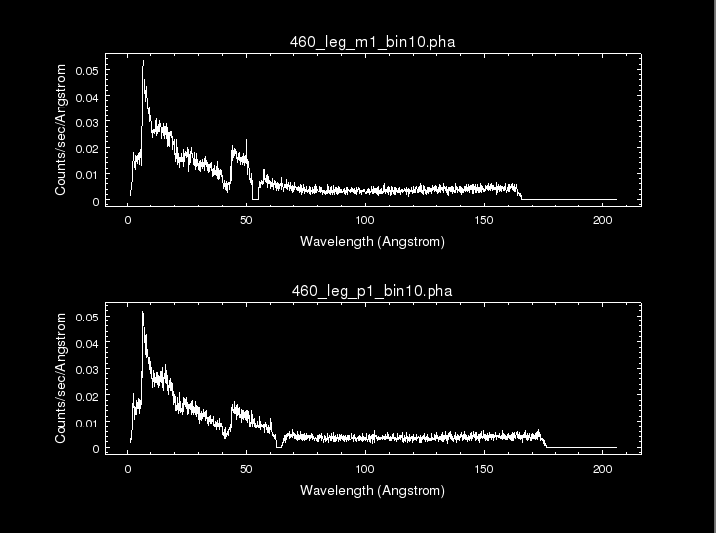 Here we display a background-subtracted PHA source counts spectrum filtered in wavelength space, with a linear-scale y-axis and log-scale x-axis. For detailed information about the input data in this script, see the Sherpa thread "Introduction to Fitting PHA Spectra". 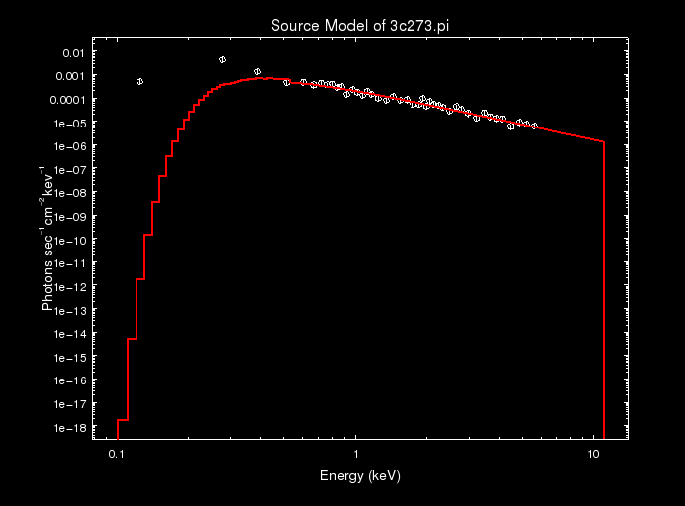 Here we display a deconvolved source spectrum in photon flux units, along with the corresponding unconvolved source model, on a logarithmic scale. 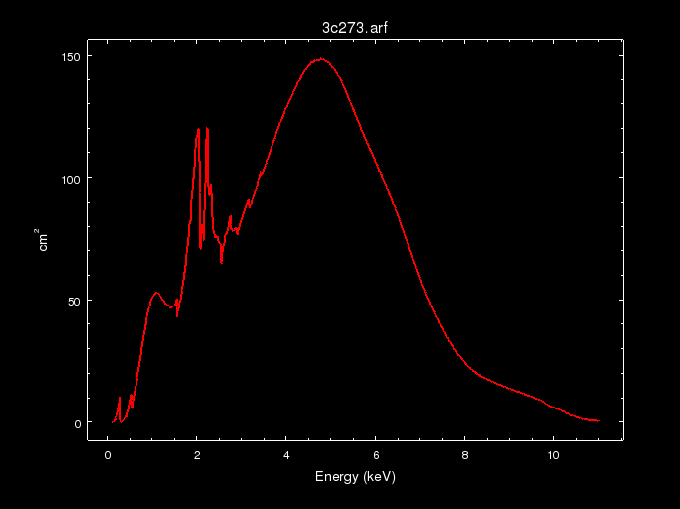 For detailed information about the steps in this script, see the Sherpa FAQ entry "How can I plot a spectrum in photon flux units (photons s-1 cm-2 keV-1)? ", or the Sherpa 3.4 thread "Advanced customization of Sherpa plots." 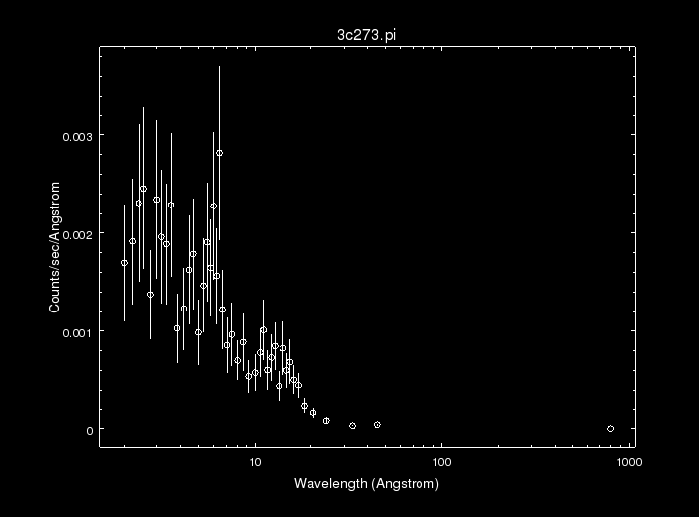 Here we display the background counts spectrum associated with a PHA source spectrum. For detailed information about the input data in this script, see the Sherpa thread "Introduction to Fitting PHA Spectra." 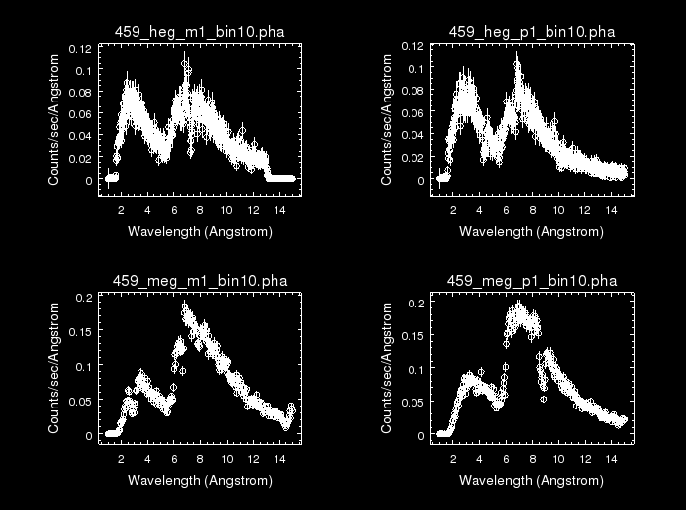 Here we display the +1/-1 HEG and +/-1 MEG grating spectral orders resulting from an ACIS-S/HETG observation of a source, filtered in wavelength space. For detailed information about each of the steps in the script, see the Sherpa thread "Fitting Grating Data." 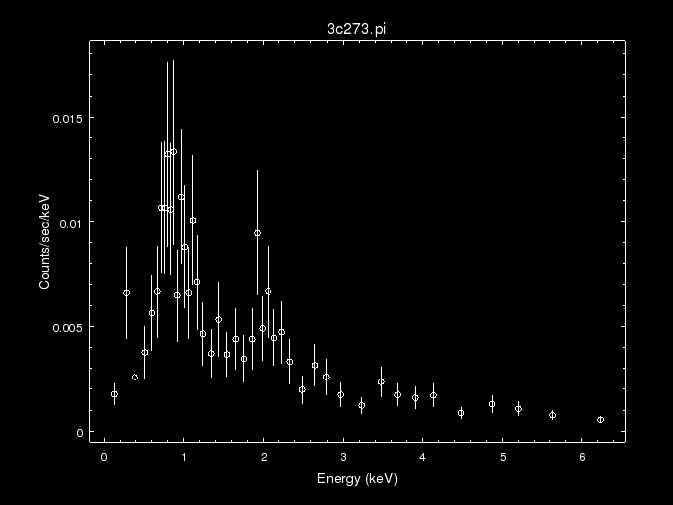 Here we display a customized plot of the +1/-1 LEG spectral grating orders resulting from an HRC-S/LETG observation of a source. The data points are connected with a solid line, and the data point symbols and y-axis error bars are removed. For detailed information about each of the steps in the script, see the Sherpa thread "Fitting Multiple Orders of HRC-S/LETG Data." 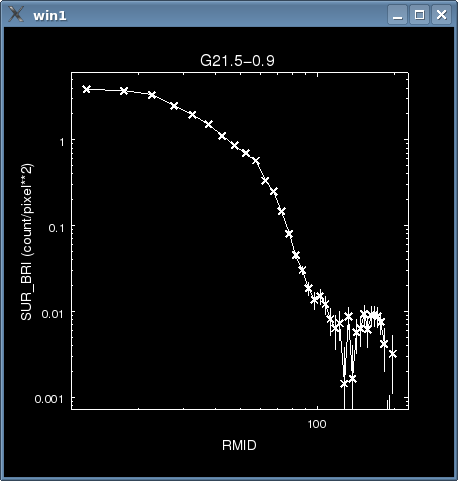 Here we display the Auxiliary Response Function (ARF) corresponding to a particular ACIS observation of a source. Here we display the 2-dimensional counts image of a source in DS9, Sherpa's default data imager. For detailed information about each of the steps in the script, see the Sherpa thread "Fitting FITS Image Data." 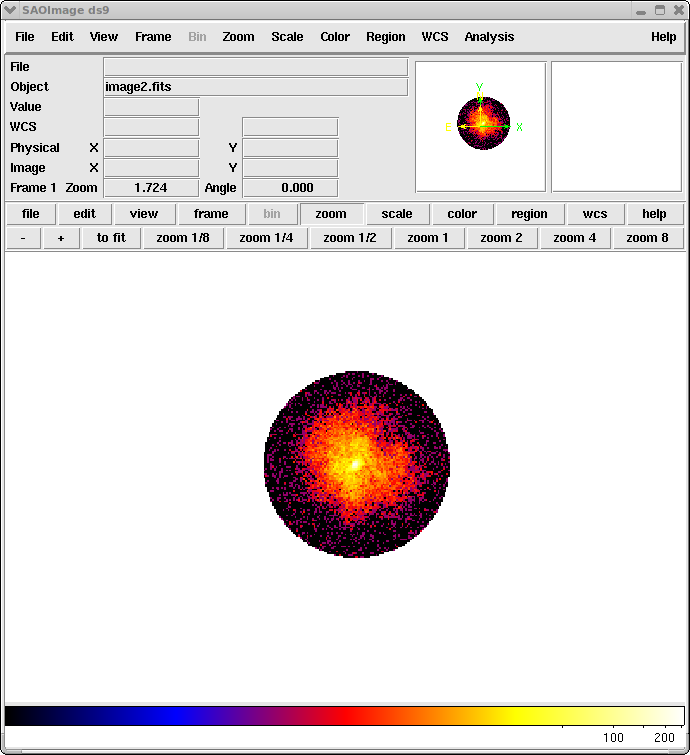 Here we display a background-subtracted radial profile extracted from a 2D PHA data set (either spatial table or image file) with the CIAO tool dmextract.